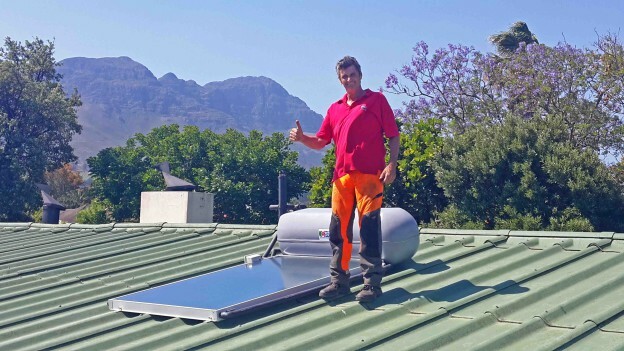 We service systems (solar geysers; heat pumps; pool heating) to ensure optimum performance. Service cost for 2018: R950 (incl VAT). Travel cost may be applicable for areas far from us – kindly ask us. We service most “Heat pump” brands. A new ITS heat pump needs to be serviced annually to maintain the supplier warranty on the system. We did the training at ITS and we follow the set guidelines as well as register your heat pump’s service at their office. Time at your house: ± 2 hours. Service cost for 2018: R1450 to R1 950+ (incl. VAT). The cost is depending on the complexity of the service as well as transport if we have to travel quite a distance. We can check if your pool heating connections & solar panels are still intact and replace if the system allows and if stock is available. We also service the pool heating heat pumps.